If you receive large volume of incoming calls, it may be helpful to have IVR system filtering them for you and routing these calls to the desired destination. You can choose between 2 voice menu sources: audio file or text. If you choose to add text, it will be spoken to callers whenever they reach you by phone (language, voice, speed & volume can be configured). If you decide to upload an audio file, it should be in mp3 format, mono and its size shouldn't exceed 2 Mb. 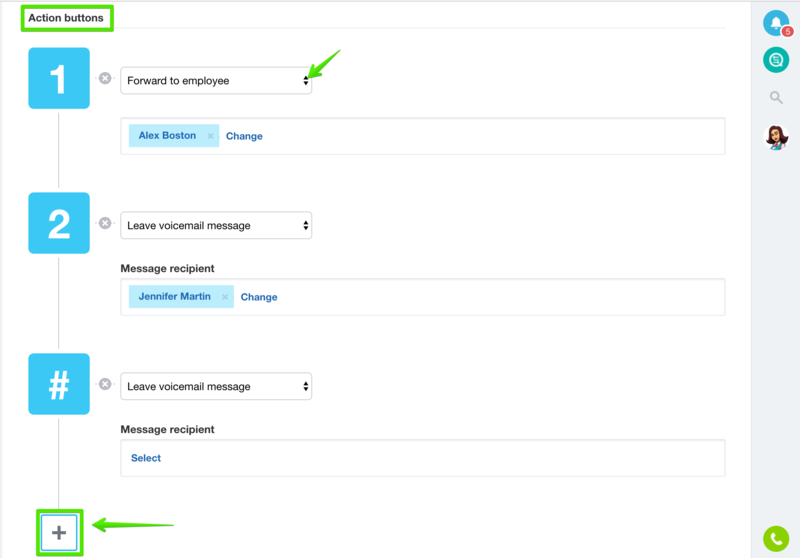 You can create IVR nested menus by adding a new action button > + > New menu. Standard plan subscribers can add up to two levels of nested menus. Professional plan subscribers can add an unlimited number of levels of nested menus. Here you can select Bitrix24 users who will answer calls to this number. 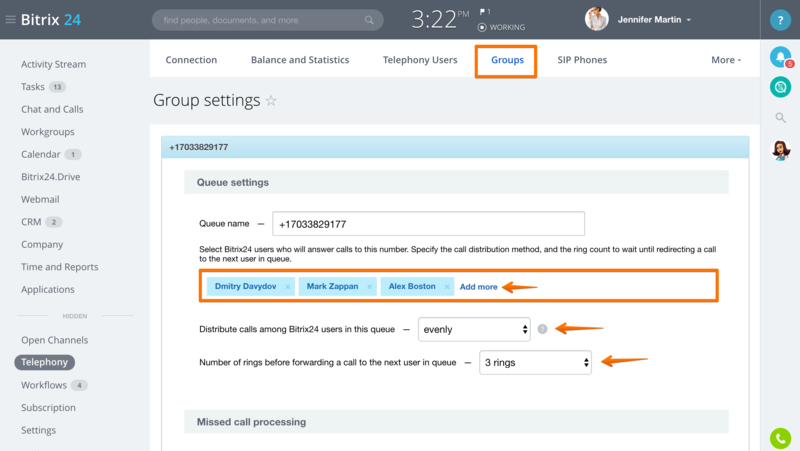 Specify the call distribution method and the ring count to wait until redirecting a call to the next user in the queue. 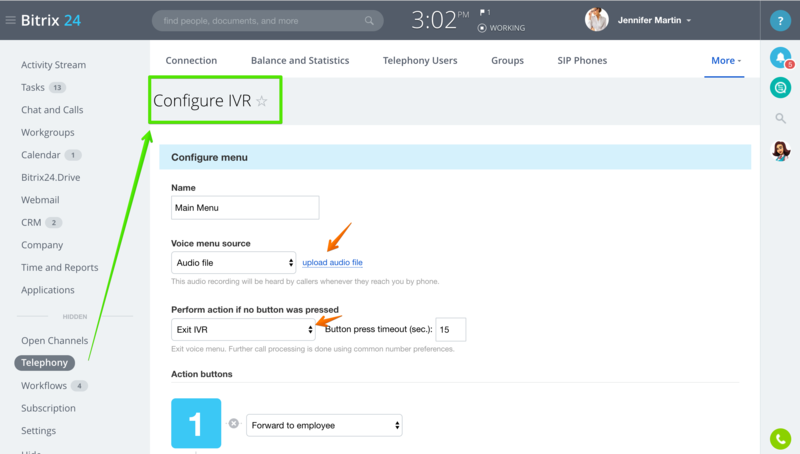 Click Connection > select connection option > Configure Number > activate Use IVR menu option > select IVR menu or create a new one.